From the role of a psychic, mysteriously aloof and often violent kid in Ram to the happy-go-lucky roles in many movies Jiiva has definitely come of age to become a well-rounded star. While his big budget Ko, directed by K V Anand, is yet to be released, Singam Puli is coming a precursor this year. Now that his contemporaries (for e.g., Karthi in Siruthai) are trying out dual roles, Jiiva’s Singam Puli will ensure that he is not left behind in the race. Touted to be an out and out action movie, Jiiva’s double roles will show him as an honest fisherman at one end and that of an evil lawyer in the other. Needless to say, the two Jiivas are pitted against each other and their duels and outbursts form the crux of the movie. It’s also said that the movie will be ‘an exciting cat and mouse game.’ True to its name, the lion and the tiger, will vie with each other and which one emerges victorious takes the cake. Jiiva’s dual roles in Singam Puli are written and directed by Sai Ramani. Jiiva and Santhanam’s successful association in SMS continues with Singam Puli as well while the bubbly Divya Spandana, who is only seen on and off in Tamil screens is making an entry with this one. The other roles are played by Livingston and Lakshmi Ramakrishnan. Mani Sharma scores for Singam Puli and Bala Subramaniam is in charge of the camera. Venky takes care of the editing. 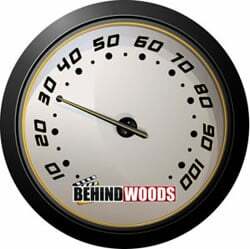 The movie is produced by S. Parthiban and S. Srinivasan at a budget of around 6 crores. Releasing this weekend on 4 March 2011 Singam Puli will probably join the league of commercial potboilers in Jiiva’s career.